If you are having problems with your car's ECU (Electronic Control Unit) then pop down and see us. We can fix many problems by recoding your existing ECU. However, if your current ECU needs replacing we can install a brand new unit or source a second hand unit and reprogram it for your car. Certain models of Citroen, Peugeot and Renault are fitted with an immobiliser system operated by a numerical keypad. This system controls the vehicles Engine Control Unit (ECU) preventing the vehicle from being started unless you type in the correct 4 digit code number. Diesel engine vehicles have a 'coded' stop-valve linked to the keypad. The immobilisation is activated automatically each time you switch off the ignition. When the vehicles were handed over to the first owner, they had a pre-set code number that the owner could change to a new one, whenever they wanted to. This system is very secure because the only person having access to the new code number is the owner; however, this has caused problems if the number is lost or forgotten, because the dealers or manufacturers have no record of the number after it leaves them, and no way to retrieve the code. Up until now the only way round this problem was to purchase and install a new Keypad & E.C.U., which meant a lot of expense for you if you forgot or lost the code number. 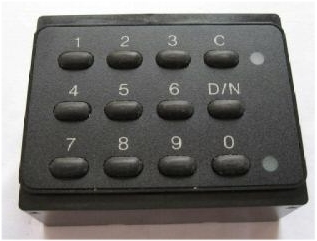 At Neil Harrods we can extract the code number that is encrypted and stored within the keypad & E.C.U.